These are the figures issued by the Office of Rail Regulation. 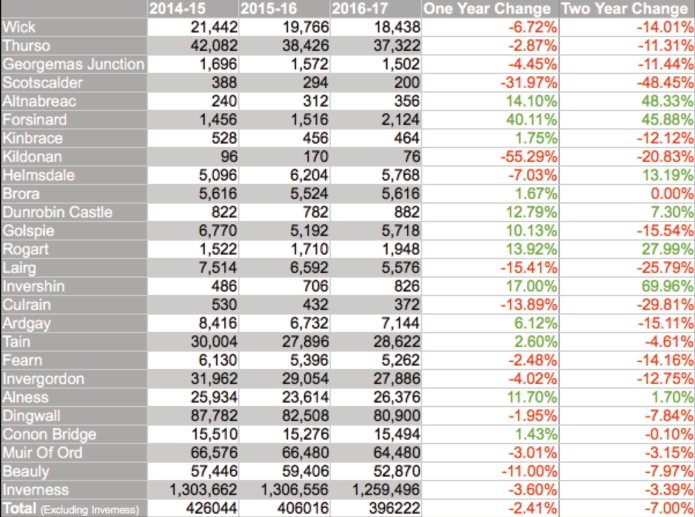 They show an overall drop of 2.41% in the total for the Far North Line excluding Inverness (for which no FNL-only figures exist) compared with last year's drop of 4.7%. The table shows the percentage change in the last 12 months and the last 24 months. Note that this table reads chronologically from left to right.